All living beings pursue their self-interest: their survival. Evolution has programmed most species to do that automatically, within the context of their knowledge. A grizzly bear spots a nesting hole of a ground squirrel, digs out the squirrel, and eats it. Tropical fish gravitate to warm waters with plentiful nutrition and mating opportunities. Even insects seek to survive, by seeking food and avoiding predators. They survive and flourish to the extent they adapt to their environments and develop attributes to aid them: sharp fangs and claws, strength, speed, ability to swim under water, powerful vision to detect predators, etc. Only human beings have no automatic knowledge of their self-interest and how to achieve it. Their only tool of survival is reason: they have to discover the knowledge about proper goals and means and apply it to survive and flourish. Fortunately, we don’t have to start from scratch in trying to identify what the achievement of self-interest requires. Aristotle and most of the Greek philosophers told us to use reason in the pursuit of our well-being. John Locke identified individual rights as the crucial principle making civilized society possible (in contrast to the survival of the fittest in the animal world). Adam Smith showed how the pursuit of self-interest, by bakers, butchers, and others, led to mutual benefit. Ayn Rand identified the virtues for guiding our actions to achieve self-interest: rationality, honesty, justice, independence, integrity, productiveness, and pride. Despite all this help and encouragement from philosophers to pursue our self-interest and the obvious benefits from doing so to our well-being, flourishing, and happiness, many people treat self-interest with a deep suspicion. They recoil at the idea of unrestricted pursuit of self-interest and consider its synonym, selfishness, evil. They also sanction governments’ curtailing of self-interest through taxation and regulations, including taxing and regulating businesses. Why? People are suspicious of self-interest because for every philosopher who has taught and advocated self-interest, there have been multiples of those who have taught its opposite, altruism. According to the morality of altruism, the pursuit of self-interest is evil. It teaches us to always put others’ interests ahead of our own, sacrificing ourselves to the needs of others. Altruism has been taught for centuries and it has entrenched itself as the universally accepted moral code, despite its obvious destructiveness to our ability to survive and flourish. One of the altruist philosophers’ gimmicks in persuading us about the correctness of their moral code has been the presentation of a false alternative: either you sacrifice yourself to others or others to yourself. 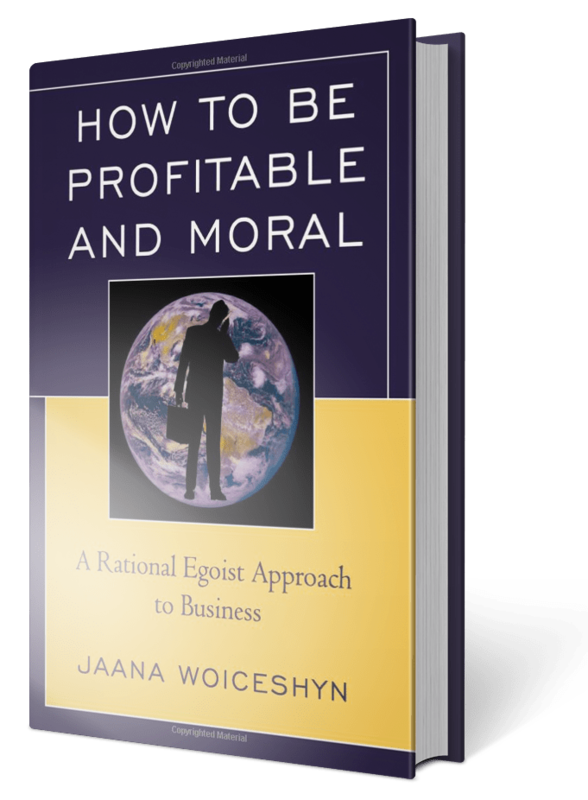 Since neither can be practiced systematically, most people have resorted to abandoning any principled moral code. They attempt to pursue self-interest because they couldn’t survive otherwise, but sacrifice for others on occasion out of guilt, and may sacrifice others to themselves due to the lack of knowledge of moral principles to guide them differently. But the deterrent to our flourishing caused by people’s general suspicion of self-interest can be removed. It cannot be done swiftly overnight because people have free will. It has taken generations of teaching the alleged superiority of altruism, and that belief is now entrenched in the culture. However, as that handful of philosophers discussed above has shown, there is an answer to the altruists’ false alternative: the morality of rational self-interest that rejects any form of sacrifice, both of ourselves to others and others to ourselves. The more people get exposed to it, the better they can be persuaded that the pursuit of self-interest (which by definition excludes the violation of others’ rights) is a noble goal which requires effort: discovering what is in one’s self-interest and acting accordingly. While such persuasion will take time, those who are open to it will embrace self-interest—because their lives and happiness depend on it, including their economic well-being. As Yaron Brook, Executive Director of the Ayn Rand Institute, pointed out in a recent talk on the morality of capitalism, embracing rational self-interest is the pre-requisite of economic freedom and creation of material wealth (the topic of a future post). In one of your pages you noted people asking why societies had to add some socialism, the claim being that economic freedom was not working. The “Western” world progressed from monarchs and feudal lords to societies with greater worker mobility (a big factor in England centuries ago), resulting in great improvement in prosperity. Communist China improved by adding its version of economic freedom to its Communist regime. OTOH, Venezuela is in trouble from years of government control of the economy, and North Korea is starving in the dark from adherence to Communist ideology. A common error is considering economic freedom separate from political freedom and personal freedom. But entities, including humans, are integrated – mind and body together in one. There has never been a famine in a country with a relatively free press. Humans depend on use of the mind, but force stops that. Read Tara Smith’s books for explanation.